The court granted in part defendant's motion to dismiss plaintiffs' infringement claims for lack of patentable subject matter and rejected plaintiffs' argument that the motion was premature because claim construction had not occurred. "Plaintiffs' arguments throughout the briefing make no mention of how the construction of certain limitations would inform the § 101 analysis. The court concludes that it may proceed on a § 101 analysis, as the parties' arguments are not focused on specific claim limitations, but instead on the broader concepts of the claims and the computer components used." The court denied without prejudice defendant's motion to dismiss plaintiff's claim for infringement of its seismic array patent for lack of patentable subject matter but rejected plaintiff's argument that the motion was premature. "[Plaintiff] has been unable to identify any relevant factual dispute, and the parties agree that the Court can use [plaintiff's] proposed claim construction for the purposes of this Motion. Given this consensus, the Court is satisfied that it has the full understanding of the basic character of the claimed subject matter required for an eligibility determination. Thus, the Court finds that claim construction is not necessary for the resolution of this Motion." The court granted defendant's motion for summary judgment that plaintiff's electronic document distribution patents were invalid for lack of patentable subject matter because the claims were drawn to an abstract idea and not limited by an inventive concept. "The requirement that the portable device have 'significantly less' memory than the networked device does not transform the portable device into a special purpose computer. . . . Although the court understands plaintiff's argument that the steps of 'transmitting' and 'receiving' may not have been conventional practices in the field of computing at the time of invention, these steps nonetheless do nothing more than recite functions that 'can be achieved by any general purpose computer without special programming.' The court also recognizes that the application of document cataloguing in the realm of portable computing usefully addressed the problem of limited memory space in portable computers. The fact that an abstract idea may be usefully applied, however, is not enough to 'transform an unpatentable principle into a patentable process.'" In addition to the decision reported above, three other decisions recently invalidated asserted patent claims under Alice. The asserted claims were directed to (i) the secure management of patient records, (ii) financial transaction alerts, and (iii) internet marketing via “match engine.” To view summaries of all dispositive or potentially dispositive decisions addressing unpatentable subject matter since Alice, click here. If you’d like to be notified of new orders addressing patentable subject matter, follow the link below, then click the “Create Alert” button at the bottom of the page. Following summary judgment of noninfringement based on a sublicense, the magistrate judge recommended awarding defendant nearly $5.5 million in attorneys’ fees under 35 U.S.C. § 285 . "Not only does the [court's] summary judgment decision show that [plaintiff's] arguments were exceptionally weak, but this is also evidenced by the Federal Circuit’s . . . summary affirmance. . . . Another remarkable aspect of [plaintiff's] defeat is that much of [defendant's] best evidence came from the deposition testimony of [plaintiff's] witnesses, not [defendant's] witnesses. . . . If [plaintiff] had conducted a modicum of due diligence before it filed its complaint it would have learned from these witnesses that its case was doomed." The court granted defendant's motion to exclude the testimony of plaintiff's damages expert regarding lost profits testimony that included all sales of the accused drug product, including off-label use. "[E]ven where related actions by defendants may have cost a plaintiff a sale, only those leading to or qualifying as actual infringement can give rise to lost profits. . . . According to [plaintiff], all sales of [the accused drug product] should factor into a lost-profits analysis, even where only 66 percent of those sales resulted in infringement. Its stated reasons are that all such sales were made after [defendant] had marketed the drug in a way that promoted an infringing use and that [defendant] was legally prohibited from marketing it in any other way. . . . Presumably, on [plaintiff's] logic, the result would be the same even if only 10 percent of [the accused product sales] had actually resulted in infringement. . . . Absent some limiting principle, [plaintiff] would demand damages on 100 percent of sales even in those cases. . . . [T]here is no other coherent place at which to limit [plaintiff's] lost-profits damages than at the point of actual infringement." The court granted plaintiff's motion to exclude testimony from a defense invalidity expert who did not draft his own report. "The problems with [the expert's] testimony stem from the fact that he did not draft his own report; defense counsel drafted it for him. The Court finds that practice to be a remarkable breach of ethics and protocol, which defense counsel brazenly attempted to justify at oral argument. . . . He may indeed be competent to provide testimony in support of the invalidity defenses in this case. But he has surrendered his role to defense counsel, and that is not how the adversary process works. . . . [The expert] devoted less than 30 hours developing his opinions about the case, nearly half of which was spent at or traveling to the law office of [defense] attorneys. . . . Because [the expert] did not furnish a report that even approximated his original work in this case, and he could not apply the facts of the case to the principles upon which an obviousness opinion necessarily is based, he cannot testify as an expert in this case." How have other courts addressed counsel’s role in preparing expert reports? For Docket Navigator subscribers, if you'd like to view decisions by other courts addressing this issue, click here. If you’d like to be notified of new orders addressing this issue, follow the link and click “Create Alert” at the bottom of the page. The court granted in part defendant's motion to certify for interlocutory appeal an earlier order denying defendant's motion to dismiss plaintiff's ANDA action for lack of personal jurisdiction, but found defendant's proposed question too narrow. "The court is not familiar with any other judicial decision analyzing person jurisdiction in 'Hatch-Waxman litigation,' in the wake of the Supreme Court's ruling in Daimler AG v. Bauman, 134 S. Ct. 746 (2014). The court agrees with [defendant] that this is a controlling (and novel) question of law for which there is substantial ground for difference of opinion. . . . [G]iven the volume of Hatch-Waxman cases pending in this district, the court is of the view that interlocutory appellate review will provide necessary guidance as to whether these cases are properly before the court. . . . The court considers [defendant's certification] question to be an oversimplification of its holding [and] will therefore certify [its] request for interlocutory appeal . . . without further limitation." The court granted defendant's motion for summary judgment that plaintiff's customizable advertising patent was invalid for lack of patentable subject matter. "[T]he specification . . . makes clear that a primary potential use of the system is to allow advertisers to direct customized ads to individuals. . . . "[Defendant's] characterization of this patent as embodying only an 'abstract idea' is accurate. The concept of gathering information about one’s intended market and attempting to customize the information then provided is as old as the saying, 'know your audience.'. . . The idea is abstract, and no limitations exist in the claims to provide an 'inventive concept' sufficient to transform that idea into patent-eligible subject matter. Indeed, the claim language itself does not even expressly call for the use of computers or the internet." How have other courts ruled on patentable subject matter after Alice? Since Alice was decided last June, U.S. district courts have issued 31 dispositive or potentially dispositive decisions addressing patentable subject matter. To view those decisions, click here. If you’d like to be notified of new orders addressing patentable subject matter, follow this link (same as above) and click the “Create Alert” button at the bottom of the results page. The court granted defendant's motion for summary judgment that plaintiff's financial transaction security patent was invalid for lack of patentable subject matter because the claims were not limited by an inventive concept. "[P]laintiff argues that the claims use 'specific computers' with bank processing software, making them 'special purpose computers.' . . . Plaintiff admits that the applicant did not invent the computer components or the banking software. For example, claim 30 utilizes a memory to store a limitation or restriction, a communication device to transmit, a receiver to receive, and a processing device to process information and generate a signal containing information. While plaintiff objects to the characterization of these components as generic, the addition of well known data processing software does not transform these components into a 'special purpose computer.'. . . While the computer components do allow the abstract idea to be performed more quickly, this does not impose a meaningful limit on the scope of the claim." The court sua sponte sanctioned defendant $10,000 for its unsuccessful early motion for Rule 11 sanctions. "The Court looks with particular skepticism on sanctions motions brought immediately after joining issue and well before any type of discovery has taken place. . . . [U]nder the guise of being an abused party, the Defendant ultimately abused the Court through the excessive filing of 10 briefs and 1,700 pages through which the Court had to wade, only to conclude that neither motion was well-founded. For this reason, and as a means of cautioning future litigants against ill-conceived decisions to immediately move for sanctions as a 'first option,' the Court uses its inherent authority to tax a portion of the costs of responding to and defending [defendant's] motion against the Defendants." The court denied without prejudice the parties' discovery motions and warned counsel that attorneys who did not behave professionally would be banned from discovery and that discovery for that side could be closed altogether. "The court . . . chastised both sides for the contentiousness and unprofessionalism that has marred discovery in this case, particularly the depositions. Both sides are at fault and the attorneys for both sides must change their behavior significantly and immediately. . . . This is particularly important during depositions: no repetitive questioning, no badgering witnesses, no speaking objections, 100% Marquess of Queensbury Rules. . . . [I]n any further discovery concern flagged for the court, the court will ban from any further participation in discovery the offending attorney, regardless where that attorney fits into the hierarchy. The court is the sole judge of what constitutes offending conduct and its threshold in this case now is particularly low. The court further warned that if it then finds a second incident of offensive discovery conduct on either side, the court will completely close discovery for that side. This is not an idle threat, it is a just order under Rule 37(b)(2)(A) and every lawyer involved in this lawsuit must read this order and abide by it." Following an ex parte reexamination of the patent-in-suit, the court denied plaintiff's motion to reconsider claim construction and vacate a related summary judgment order. "Although [plaintiff] concedes that its proposed course of action would result in disrupting litigation which has relied, for eight years, on the 2006 Markman Ruling, it nevertheless contends that 'reconsideration would promote judicial economy and efficiency' because 'reversal [of the 2006 Markman Ruling] is likely.' The Court disagrees. . . . [P]ut simply, the PTO Ruling is not binding on this Court, nor is it binding on the Federal Circuit. . . . [Plaintiff] has repeatedly sought -- and has been repeatedly denied -- reconsideration of the 2006 Markman Ruling based on the contrary construction in [another case involving the same patent]. The fact that the PTO Ruling is apparently consistent with [that other case] does not alter the Court's conclusion about whether reconsideration is warranted, nor does it undermine the soundness of the 2006 Markman Ruling." The court denied defendant's motion to join a motion for summary judgment by a defendant in a related case addressing lack of patentable subject matter. "Rather than asking to join [the other defendant's] section 101 motion, [movant] made a tactical decision to sit on the sideline while [the other defendant] argued the [Alice Corp. v. CLS Bank Int’l, 134 S. Ct. 2347 (2014)] issue to the Court. . . . Because new Federal Circuit decisions are clarifying the scope of Alice at a rapid rate, the Court plans to hold off on deciding [the other defendant's] motion until closer to [the trial in that case in three months] in order to benefit from any additional appellate guidance. Of course, if the Court ends up granting [the other defendant's] motion, that would render the patent invalid, a ruling from which [movant] would also eventually benefit. . . . By not timely joining the [the other defendant's] motion, [movant] gave up that right to a pretrial ruling even though it can still assert the defense at trial." The court granted in part plaintiff's motion to sanction defendants for abusing the parties' protective order by designation more than 90% of their production as "outside attorneys' eyes only." "Defendants have produced 226,834 documents totaling 862,280 pages. . . . About 90% of the production has been designated OAEO, and the rest is undesignated. As a result, nearly everything Defendants have produced in discovery is off-limits not only to Plaintiff and Plaintiff’s in-house counsel, but also to the specific corporate officers designated for access to Confidential documents. . . . 90% is an absurd number — made all the more absurd by Defendants’ failure to designate a single document as Confidential but not OAEO. The Court finds that Defendants acted in bad faith by indiscriminately designating nearly their entire production of documents as OAEO." Following plaintiff's unsuccessful appeal of a stipulated judgment prompted by the court's claim construction, the magistrate judge recommended denying defendant's motion for attorneys’ fees as untimely. "Plaintiff argues that final judgment occurred . . . when the Court docketed the mandate. Defendant filed its motion for attorneys’ fees fifty-five (55) days later. . . . [Rule 54's fourteen-day deadline] does not apply in cases where fees deal with judgments from the Court of Appeals. . . . '[I]n the absence of a statutory or rule-based deadline . . . a general rule of diligence should govern.' Yet, the [Seventh Circuit] also noted 'anything within 30 days shows reasonable diligence.' This Court agrees, especially because the procedure is 'complicated and application of the Federal Rules is unclear.' Defendant did not provide any explanation for why it took fifty-five days to file its motion for attorneys’ fees. The Court finds that fifty-five days is not reasonably diligent. Accordingly, the Court finds that Defendant’s motion is untimely and should be denied." Any application that is categorized in SAWS . . . is placed in a special type of patent purgatory. SAWS-marked patents must be approved by anywhere from three to nine people and can be delayed for years. There is no official channel to notify an applicant once her patent is placed in the system, and the Patent Office has denied requests to divulge what applications are on the SAWS list. Read the entire article with links to the FOIA produced documents here. Following summary judgment of invalidity, the court granted defendant's motion for attorneys’ fees and non-taxable costs under 35 U.S.C § 285 because of plaintiff' litigation tactics. "[Plaintiff's counsel] blindly adopted and filed a complaint drafted (but not filed) by another firm, . . . misrepresented that a terminal disclaimer had been filed when no such terminal disclaimer existed, demanded $977.3 million in reasonable royalties, ignored [defendant's] repeated warnings about . . . obviousness-type double patenting, . . . waited nearly a year into the lawsuit to finally admit that no terminal disclaimer had been filed, and sandbagged [defendant] at the tutorial by introducing a new, untimely 'distinction' based on phrases not appearing in the asserted patent. . . . [Plaintiff's] validity position was unsupported by the record, especially given that no terminal disclaimer was ever filed (a fact it should have known before the lawsuit was filed) and its expert witness only opined that the asserted claim was 'different and broader' than the claims in the earlier [patent]. . . . Considering the totality of circumstances, this order finds that this action was litigated in a wholly unreasonable manner and it stands out from the others with respect to the substantive strength of [plaintiff's] litigation position. This is an exceptional case." The court partially granted plaintiffs' motion for sanctions but reduced the award by 20% to account for overbilling attributable to quarter-hour billing increments. "Defendants claim that Plaintiffs’ practice of billing in quarter-hour increments artificially inflates their hours, and that courts in the Ninth Circuit have criticized that practice for its tendency to cause excessive billing. . . . Plaintiffs’ quarter-hour billing practice, in general, likely resulted in some requests for excessive hours. For instance, Plaintiffs seek reimbursement for discussions and meetings with co-counsel, drafting an email to co-counsel, participating in conference calls with co-counsel, and attending a client conference. These activities . . . likely took only a fraction of the time billed." The court granted plaintiff's motion in limine to preclude any reference to plaintiff's attempt to retain defendant's expert. "Unbeknownst to [plaintiff], Defendants retained . . . [their] expert to evaluate and analyze damages relating to [plaintiff's] infringement claims. . . . [Plaintiff] subsequently contacted [that expert] regarding the possibility of serving as a damages expert in this lawsuit, and [he] informed [plaintiff] that he had a conflict. . . . Defendants argue that [the expert's] experience and reputation are important factors that a jury will consider in deciding whether to accept his conclusions, and thus [the expert's] prior experience with [plaintiff's] counsel is probative of his credibility as a witness, and should be considered by the jury. . . . The fact that [plaintiff] attempted to retain [defendant's expert] as a damages expert before retaining [its own expert] is not relevant to any claims or defenses. The possibility of misleading and confusing the jury and wasting the Court’s time outweighs any probative value of [plaintiff's'] initial attempt to retain [defendant's expert]." The court granted defendant's motion to dismiss plaintiff's declaratory relief action because of the statutory dispute resolution under the Biologics Price Competition and Innovation Act. "Even if the Court were to find that [plaintiff] had engaged in sufficient meaningful preparation to market [its drug] and that the threat of injury was sufficiently demonstrable, the Court would still exercise its discretion to decline to hear this case in light of the existence of the BPCIA statutory framework for the resolution of patent disputes in the licensing of biosimilars. . . . The BPCIA purposefully keys its dispute resolution procedures to the occurrence of certain events on the path to FDA approval. [Plaintiff] has failed to show why this carefully crafted and well-timed procedure should be avoided here." The court granted defendant's motion to compel arbitration and dismiss plaintiff's infringement action and rejected the argument that defendant could not seek arbitration because it was not a party to the arbitration agreement. "[A]lthough [defendant] did not sign the License Agreement, it has 'consented to arbitrate' by seeking arbitration in the pending case. The Second Circuit has recognized that a defendant who was not a party to the original arbitration agreement has 'created a separate binding agreement to arbitrate' the dispute 'by consenting to arbitration.'. . . A non-signatory 'seeking to compel a signatory to arbitrate a dispute' can do so through 'the principle of equitable estoppel" . . . [T]he issues that [defendant] seeks to arbitrate and that Plaintiff seeks to litigate are intertwined with the License Agreement. . . . Because the parties' disputes arise directly out of and are closely related to the License Agreement, Plaintiff 'should be estopped from denying an obligation to arbitrate a similar dispute with the adversary which is not a party to the arbitration agreement.'" The court granted in part defendant's motion to reconsider an earlier order denying defendant's motion for new trial and granted a new trial on damages. "[Defendant] has shown good cause for reconsideration on the issue of damages, given the Federal Circuit’s recent clarification of the law with respect to the calculation of a reasonable royalty. See Virnetx, Inc. v. Cisco Sys., Inc., 767 F.3d 1308 (Fed. Cir. 2014) . . . [Plaintiff's damages expert] was obligated to apportion the royalty solely to the patented features. [Plaintiff's expert] expressly acknowledged his royalty calculation did not include such apportionment. . . . [Plaintiff's] argument that VirnetX does not require apportionment where the expert calculates a royalty based on the 'expected harm' to the patentee overlooks the Federal Circuit’s clear directive therein that '[n]o matter what the form of the royalty, a patentee must take care to seek only those damages attributable to the infringing features" . . . Without the requisite apportionment, the jury lacked sufficient evidence on which to base its damages award, and, consequently, a new trial on the issue of damages is appropriate." When do district courts grant new trials on damages? Since 2008, district courts have granted or partially granted motions for new trial on damages only eight times. In three of the cases the winning party was given the choice between remittitur or a new trial. One case was largely procedural, involving a remand from the Federal Circuit. The others focus on a lack of evidence supporting the verdict, a change in the law, or flawed expert analysis. To view the eight orders click here. The Board denied the petitioner's request for rehearing of an earlier decision partially denying institution of inter partes review and rejected the arguments regarding the institutions of earlier petitions. "[The petitioner] contends that its Petition presented the 'same evidence' that was presented in [proceedings brought forth by two other petitioners] and that because the Board found 'equivalent disclosures' of [a prior art reference] sufficient to anticipate and/or render obvious claims 1-6 and 12 in those cases, we must do the same here. . . . It simply is not true that the records in all three cases present the 'same evidence.' . . . The differences between [the expert's] declaration in the present case and the one submitted in the [related] proceeding are material, and lead to the different results in our institution decisions. . . . The evidence of inorganic particles in [the prior art reference] was considered in our Decision to Institute and, when considered in light of the Petition and [the expert's] declaration in this proceeding, found to be insufficient to establish a reasonable likelihood of unpatentability. . . . 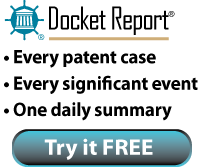 The rule [the petitioner] proposes—that every Petition citing the same art must be decided identically, regardless of the arguments set forth in the Petition—ignores the adversarial, adjudicative nature of an inter partes review.."
The court granted defendant's motion for summary judgment that plaintiff's medical device patents were invalid as indefinite. "The question here is whether the absence of identified boundaries in terms of proximity, distance, or location renders the claims indefinite under a new and more rigorous standard imposed by the Supreme Court? The Court finds that it does. . . . There is no question that the relationship terms lack any quantitative parameters or a range of distance between the mount or anchor and a target or disc space. . . . The accurate targeting of the surgical site and positioning the mount, anchor, or fixation member to limit movement provide 'some standard for measuring the scope of the phrase[s],' but something more, short of absolute or mathematical precision, is required. . . . These claims all have some meaning and are not insolubly ambiguous, but they do fall short of the new, more rigorous reasonable certainty standard for indefiniteness. The lack of clarity in these claims leaves the next inventor in the 'zone of uncertainty,' not knowing what is claimed and what is still open." The court granted in part defendant's motion in limine to exclude the opinion of plaintiff's damages expert concerning the value of user activations. "The Court grants the Motion with respect to [the expert's] opinion that user activations beyond the initial activation should be valued at a constant $0.115 rate. Based on the evidence before the Court, [the expert's] report applies too linear a relationship between the first and all subsequent activations. If there is a quantifiable value for the second, third, and other activations, [plaintiff] may present evidence of that value at trial." The court sua sponte limited the parties to five terms for claim construction because of their litigation tactics. "Nearly a year into this litigation, the record thus far suggests that both parties have engaged in dilatory tactics — and potentially gamesmanship — inconsistent with the Court’s efforts to reach a 'just, speedy, and inexpensive determination of the action.'. . . [I]n light of the consistent delays and, in the Court’s view, needless disputes that have been emblematic of this litigation thus far, the Court invokes its inherent authority to reduce the number of claim terms that it will construe during claims-construction to five terms. The parties’ failure to move this case forward consistent with the Court imposed schedule seriously impacts the time to consider and resolve disputes related to the construction of terms in the relatively straightforward patents at issue." Following a jury trial, the court denied plaintiff's motion for judgment as a matter of law that its patent was not obvious and rejected plaintiff's argument that it should have been permitted to present the dollar amount of its license with a patent aggregator as a secondary consideration of nonobviousness. "[Plaintiff] argues that the Court's decision to exclude the dollar amount of its license agreement with [the aggregator] precluded the jury from considering that agreement as an indicator of non-obviousness. . . . [T]he Court, citing circumstances surrounding the [aggregator] agreement that were vastly different from those of other licensing agreements, found that evidence of the exact dollar amount of the license would 'skew the jury's perception of a reasonable royalty, causing unfair prejudice to [defendant].'. . . [Plaintiff] argues that the very fact that it has executed a multi-million-dollar licensing agreement with [the aggregator] demonstrates that the [patent-in-suit] was not obvious. [Plaintiff] overstates the case. Although the jury was not presented with the precise dollar amount of the [aggregator] agreement, it heard testimony describing the agreement, and specifically stating that it was 'much, much higher' in value than the other license agreements in evidence. . . . Although evidence of a multi-million-dollar licensing agreement may be evidence of non-obviousness, the Federal Circuit has 'often held [that] evidence of secondary considerations does not always overcome a strong prima facie showing of obviousness.'" The court denied plaintiff's motion to compel discovery as to when defendant became aware of plaintiff's patent applications. "The Court’s research indicates that a claim of pre-issuance infringement pursuant to 35 U.S.C. § 154(d) should generally be expressly pled in a complaint as a claim that is separate from a claim of infringement pursuant to 35 U.S.C. § 271. Plaintiff has not offered any legal authority or argument that its conclusory reference in its prayer for relief and allegation regarding only one of the two elements of a claim of pre-issuance infringement is sufficient to have alleged a claim of pre-issuance infringement pursuant to 35 U.S.C. § 154(d). . . . As such, the supplemental answers Plaintiff seeks . . . would involve information that is not relevant to a claim or defense currently in the case and Plaintiff is not entitled to obtain discovery regarding that issue." The court denied plaintiff's motion for pre-verdict supplemental damages following a jury verdict based on defendant's failure to produce damages discovery. "During discovery, [defendant] failed to produce any financial records later than 2011. . . . [Plaintiff's] expert purported to reserve the right to seek post-2011 damages after trial, and [plaintiff] argues that it 'reserved the right in its complaint and again in its pretrial statement to seek an accounting of all damages.' [Plaintiff's] attempts to reserve these rights do not empower it to take the question of damages from the jury. Damages are part of a trial by jury. If [plaintiff] wished to bifurcate a portion of its damages for a separate, later trial, it would have had to ask the Court to do so, or reached an agreement to that effect with [defendant]." Does plaintiff’s failure to compel damages discovery as to pre-verdict time periods bar supplemental damages? Another decision from the Northern District of California takes the opposite view: “While [plaintiff] did not do everything it could have to compel [defendant] to comply with its discovery obligations, it asked for damages information relating to [a pre-verdict time period] and was essentially stonewalled. [Defendant] cites no case holding that a failure to move to compel or some other relief warrants capping [plaintiff's] access to supplemental damages." To view other decisions addressing supplemental damages, click this link. The court denied defendants' motion for summary judgment that plaintiff's casino monitoring patent was invalid for lack of patentable subject matter and rejected defendants' argument that the prior art showed the abstract concept of a customer loyalty program was practiced before plaintiff's invention. "[A]utomation of manual tasks is not necessarily abstract. U.S. Patent No. 72 (1794) to Eli Whitney for a cotton gin is one familiar example of a solidly tangible automating machine. Of course, one could posit a way of drafting even a claim to a cotton gin in a way that renders it abstract: 'a machine comprising metal and wood configured to remove cotton seeds from cotton fiber.' Read most charitably, Defendants are arguing something like that — that the prior art shows that all of the steps in the claimed method were performed together previously, and the [patent-in-suit] merely says 'do that, on a computer,' neatly fitting the [Alice Corp. Pty. v. CLS Bank Int’l, 134 S. Ct. 2347 (2014)] mold. But Defendants rely on multiple combinations of references to make that argument, and as couched by Defendants, those combinations seem more like an obviousness argument under 35 U.S.C. § 103 than a patent eligibility analysis under 35 U.S.C. § 101. . . . Defendants have not demonstrated that the claims simply cover generic computer implementation of the way poker rooms were managed before the invention." The court denied defendant's motion for attorneys’ fees under 35 U.S.C. § 285 after plaintiff dropped three of six asserted patents before a jury trial. "[T]here is no basis to conclude that Plaintiff engaged in a 'kitchen sink' approach without a good faith basis for bringing suit. . . .One of the purposes of discovery . . . is 'to allow the plaintiff to pin down the defendant’s theories of defense, thus confining discovery and trial preparation to information that is pertinent to the theories of the case.' Plaintiff’s withdrawal of [one] patent during the course of discovery . . . was not unreasonable, and does not weigh in favor of an 'exceptional' case finding. Similarly, the Court does not regard Plaintiff’s withdrawal of its claims on [two other] patents after receipt of the Court’s claim construction order as unreasonable. A party is free to alter its litigation strategy after receiving an unfavorable claim construction." The court denied defendant's motion for summary judgment that plaintiff's error correction patents were invalid for lack of patentable subject matter and found that computer software remained patentable. "A bright-line rule against software patentability conflicts with the principle that 'courts should not read into the patent laws limitations and conditions which the legislature has not expressed.' One could argue that eliminating software patents is desirable public policy, but Congress has spoken on the patentability of software. . . . By excluding computer programs from subsection (a), Congress contemplated that some computer programs were eligible for patent protection. Courts should not read [35 U.S.C. § 101] to exclude software patents when Congress has contemplated their existence. . . . Moreover, the Supreme Court has implicitly endorsed the patentability of software. [Alice Corp. Pty. Ltd. v. CLS Bank Int’l, 134 S. Ct. 2347 (2014)] seems to acknowledge that software may be patentable if it improves the functioning of a computer. . . . The Supreme Court could have resolved Alice and provided clarity to patent law by declaring all software patents ineligible. However, the Supreme Court did not do this. This is some evidence of the continuing eligibility of software." Following summary judgment of noninfringement, the court granted in part defendant's motion for attorneys’ fees under 35 U.S.C. § 285 because of its unreasonable litigation conduct. "[Plaintiff] essentially prosecuted this case in assembly-line fashion. It served a boilerplate complaint on dozens of defendants. [Plaintiff] has never attempted to demonstrate that it performed a presuit investigation of the [accused] App. It 'carelessly' served discovery requests that had nothing to do with the [accused] App. [Plaintiff] also relied on claim construction briefings filed against other defendants with dissimilar products than in this case, which did not focus on the most pertinent issues in this case, or respond to [defendant's] proposed constructions. . . . Most importantly, [plaintiff] did not expend the resources necessary to support its positions on infringement. [Plaintiff] repeatedly relied on attorney argument where facts were required. . . . Of the dozens of cases [plaintiff] or its predecessor has filed, only this case has reached a decision on the merits. From the litigation conduct in this case, it appears that [plaintiff] is actually not willing to invest the resources to prove up its infringement case. Deterring similar behavior — filing a patent infringement suit but being unwilling to expend the resources necessary to support the infringement claims — is an appropriate consideration in awarding fees." The court granted in part plaintiff's motion in limine to preclude evidence of prior sales and valuations of the patents-in-suit. "[A]lthough [two] acquisitions represent imperfect evidence, they are relevant to damages and that relevance is not outweighed by the likelihood of juror confusion. Accordingly, the Motions are denied as to the [acquisitions] generally. Also at issue is [a 10-K] allocation of $963,000 to the patents included in its acquisition. The Court finds that this number involves a host of different business considerations and is too far removed from the hypothetical negotiation that the jury will be asked to consider. The likely result of the presentation of this evidence is substantial juror confusion." Following summary judgment on defendant's patent counterclaims, the court granted plaintiff's motion for attorneys’ fees under 35 U.S.C. § 285. "[T]he 'totality of the circumstances' dictates that [defendant] acted in an 'exceptional' manner throughout this litigation. In one instance, [defendant] even ignored an express warning from the Court not to take certain action — otherwise sanctions would follow — and [defendant] nevertheless proceeded. . . . [Defendant] also deserves to be sanctioned for proposing a construction of [a term] that the Court later held 'render[ed] meaningless the amendments [defendant] added after the [PTO] rejected the original versions of the claim language.'. . . . [Defendant] argues that its proposed construction cannot form the basis for an award of attorneys’ fees. However, a finding of frivolity does not depend on whether the issue ultimately disposed of the case or motion. Rather, frivolity can exist in isolation. Parties cannot litigate a case by presenting multiple alternative arguments, some of which lack merit, then later take shelter under the meritorious ones when facing a motion for attorneys’ fees." The court found defendants in contempt of the court's discovery order and entered default against them on plaintiff's infringement claims and determined that lesser sanctions would be ineffective. "Defendants’ submissions to this Court do not evidence that they believe that they are in compliance, but rather that they, not this Court, know what should be required to be produced and how it should be provided to opposing counsel. This flagrant refusal to comply with an Order that [defense counsel] concedes was 'crystal clear,' is disrespectful to this Court and fellow Judges of the United States District Court for the Western District of Pennsylvania. . . . [Defendants] have consciously and willfully chosen to defy the Court’s Orders in order to delay this litigation, attempt to obtain some tactical advantage, or for some other unknown reason. Defendants’ production of initial disclosures, including source code, is a requirement of this Court’s Orders, not a bargaining chip to be used against Plaintiff. . . . [M]onetary or other similar sanctions would not prompt Defendants to produce the required information or adequately account for or correct the prejudice caused to Plaintiff. . . . [M]ore serious sanctions must be considered because lesser sanctions would be ineffective and Defendants’ conduct can no longer be countenanced." The ALJ granted in part complainants' motion for spoliation sanctions and imposed monetary sanctions of nearly $2 million against respondent and counsel for complainants' forensic investigation into the spoilated evidence. "[Respondent] is a Turkish chemical company with no significant operations in the United States. . . . Accordingly, imposing monetary sanctions against [respondent] alone would likely give [complainants] ineffective relief. . . . Second, counsel for [respondent] was present in Turkey to oversee the inspection of [a] company-issued laptop when the spoliation occurred. Third . . . the explanations in [respondent's letter] for the destruction of evidence on the . . . laptop and the behavior that occurred thereafter to try and cover up the spoliation are not the slightest bit credible on its face. Any diligent effort by counsel to check the veracity of the explanations in that letter before it was filed would have revealed them as false.. . . . Fourth, there is no affirmative evidence of record that a litigation hold memo, or equivalent, was issued or disseminated in this investigation. Nor is there evidence that an active undertaking was made to preserve evidence in this investigation." The court granted defendant's motion to prohibit plaintiff's proposed expert from accessing confidential information under the parties' protective order because there was a high risk of inadvertent disclosure where the expert worked for plaintiff's patent assertion and licensing contractor. "The ongoing nature of [the expert's] position with Plaintiff supports Defendants’ contention that [the expert] is not independent. Moreover, although [he] is apparently not a day-to-day employee, his position with Plaintiff is significant because he manages Plaintiff’s entire patent portfolio, rather than the patent-in-suit alone. . . . [The expert's] advice and assistance in licensing and asserting Plaintiff’s patents indicate [he] is closely involved with Plaintiff’s competitive business decisions. . . . There is thus a risk that [he] would be placed in a position to choose between denying Plaintiff advice regarding his patents and abiding by the Protective Order." The court granted defendant's motion to exclude the infringement opinions of plaintiff's inventor-expert because they were unreliable. "[M]ost of [the expert's] conclusions are simply implicit arguments about what claim construction should be, and are therefore irrelevant advocacy rather than helpful expert testimony. . . . Nearly all of [his] conclusions reads this way: they argue implicitly that the claim should be construed so that [defendant's] Patient Portal infringes. . . . [His] conclusory, self-serving statements were not helpful to the Court in construing the claims, and they are now mooted by the Court’s determined claim construction. To the extent [the inventor-expert] proffers opinions that are something more than disguised claim construction arguments, those opinions too are now irrelevant or unreliable, as they rely on a claim construction other than the Court’s. . . . Similarly, [his] unsupported assertions — made without explanation or elaboration that would allow a fact finder to follow his reasoning and come to the same conclusion — have no impact on the Court’s resolution of this case on summary judgment." The court denied plaintiff's motion to stay its own declaratory relief action pending inter partes review because the potential simplification of issues did not favor a stay. "A stay no doubt simplifies the issues where all of the patents-in-suit are subject to IPR. . . . Here, only three of the eight patents-in-suit are subject to IPR. Under these circumstances, courts generally deny a stay of the proceedings. . . . [T]he Court is not inclined to allow five of the eight patents-in-suit to 'languish' while the PTAB reviews only three of the patents-in-suit. Moreover, the Court notes that nothing is preventing [plaintiff] from dismissing its claims as to the three patents subject to the IPR without prejudice." The court granted defendants' motion for judgment on the pleadings that plaintiff's "patents for automatically animating the lip synchronization and facial expressions of 3D characters" were invalid for lacking patentable subject matter. "[T]he point of novelty here is the idea of using rules, including timing rules, to automate the process of generating keyframes . . . [W]hat the claim adds to the prior art is the use of rules, rather than artists, to set the morph weights and transitions between phonemes [the smallest unit of speech, corresponding to a single sound]. However, both of these concepts are specified at the highest level of generality. . . [T]he user, not the patent, provides the rules. And while the patent does provide an example of a very partial set of default and secondary rules, it expressly states that 'this is only an example of a set of rules which could be use[d] for illustrative purposes, and many other rules could be specified according to the method of the invention.' Because the claim purports to cover all such rules, in light of the prior art, the claim merely states 'an abstract idea while adding the words 'apply it.’'. . . . This case illustrates the danger that exists when the novel portions of an invention are claimed too broadly." The court granted plaintiff's motion for summary judgment that its electronics testing patents were not unenforceable for patent misuse. "[Defendant argues] that a counterclaim of patent misuse is . . . cognizable when the patent holder is engaged in 'sham litigation,' lacking any reasonable basis to believe that its patent claims are colorable and simply attempting to interfere with a competitor’s operations. . . . This Court has reviewed the various authorities cited by [defendant] in support of its contention that a patent misuse counterclaim can be premised solely on the assertion that the patent holder is asserting frivolous infringement claims, and finds that none of those authorities persuasive on this point. Indeed, the very notion is paradoxical: there is no need for a defense of patent misuse – which precludes the patent holder from enforcing the patent against the successful defendant until such misuse ceases – in situations where the infringement claims themselves are frivolous. Put differently, where there is no colorable assertion of infringement, no defense to the nonexistent infringement is necessary." The court granted defendant's motion to exclude the PTAB's denial of an IPR petition under Rule 403. "I agree that the . . . IPR denial is a final decision. I do not agree that it is a decision on the merits, any more so than a grant of an IPR is a decision on the merits. It is akin to a ruling on a preliminary injunction, where the merits are assessed with less than a full record and with less than a full adversarial proceeding. . . . [T]he patent examiner is a person of ordinary skill in the art, whereas the IPR decisions are made by lawyers who are not persons of ordinary skill in the art. . . . [T]he PTAB's actions in relation to the [patent-in-suit] are of marginal relevance, and the probative value is greatly outweighed by the expenditure of time that would be required to give the jury the full context necessary to fairly evaluate the evidence." Following an evidentiary hearing, the court rejected defendant's laches defense because defendant failed to prove laches, and even if it had, "the Court would conclude that [defendant] should not benefit from laches because its hands are not clean." "As is detailed both in this record and in the proceeding severed out of this case to resolve allegations that [defendant] impermissibly attempted to interfere with [plaintiff's] expert, [defendant] engaged in unprofessional conduct that threatened, but fortunately did not affect, the integrity of this litigation. Sitting in equity, the Court cannot countenance such behavior — let alone allow it to benefit from an equitable remedy." The court denied defendants' motion for summary judgment that they did not willfully infringe plaintiffs' telephone relay systems patents and rejected their argument that the PTAB's grant of inter partes review was conclusive evidence of a reasonable invalidity defense. "I agree with defendants that in light of the heightened threshold showing necessary for the grant of inter partes review, the review proceedings should be entitled to more weight in the reasonableness analysis than was given to the prior re-examination procedure. Nonetheless, I am not persuaded that the grant of review deserves conclusive weight. . . . Notwithstanding the elevated threshold for obtaining review, the preliminary and incomplete nature of a decision to institute inter partes review cautions against affording those decisions conclusive weight. . . . Although nothing in [In re Seagate Technology, LLC, 497 F.3d 1360 (Fed. Cir. 2007)] clearly precludes the court from affording controlling weight to a grant of review by the board, I am satisfied that the more prudent course is to make a reasonableness determination after hearing a full presentation of the evidence from both sides at trial." In a finding that the challenged patent was directed to unpatentable subject matter, the Board rejected the patent owner's arguments that the patent had been previously reviewed in other venues where it was not found to be unpatentable. "We also are not persuaded by Patent Owner’s argument that the claims have been reviewed previously by the Board of Patent Appeals and Interferences, as well as a district court, and have been found to cover patent-eligible subject matter. The decisions cited by Patent Owner issued prior to the Supreme Court’s holding in [Alice Corp. Pty, Ltd. v. CLS Bank International, 134 S. Ct. 2347 (2014)] and thus, lacked the benefit of authoritative guidance regarding the framework for analyzing § 101 eligible subject matter that was provided by the Court in Alice." The court denied plaintiff's motion for summary judgment that defendant's diamond design patent was invalid for depicting a functional design. "Admittedly, [the inventor] sometimes described the design of the [patent] in language that superficially might suggest a functional design. He admitted that his design 'performed the best' and stated that he used a light box to test various arrangements in search of the 'best refraction.' But these statements do not change the fact that the ultimate purpose of the [patented] design is to have a pleasing appearance — a quintessentially ornamental purpose. Simply because an inventor experiments with alternative designs or uses rudimentary tools and tests does not mean the resulting design is functional." The court denied plaintiff's renewed motion for judgment as a matter of law of noninfringement of defendant's network patent where defendant had no direct evidence of customer use of the infringing features in the U.S. "Even though [defendant] offered no direct evidence of customer use inside the United States, its circumstantial evidence is just barely sufficient to convince the Court not to disturb the jury's verdict. . . . [Plaintiff] is a billion dollar company with extensive sales. . . . [Defendant] has offered evidence of [plaintiff's] high sales volume, an instruction manual describing how to activate SDR-A, and several blog entries on [plaintiff's] U.S. support forum from people who used [plaintiff's] devices with SDR-A enabled. Taken together, this circumstantial evidence is sufficient to permit a jury to reasonably conclude 'that, sometime during the relevant period , more likely than not one person somewhere in the United States had performed the claimed method using the [plaintiff's] products.'" The court granted in part defendants' motion for Rule 11 sanctions after the court found a clear prosecution disclaimer. "I do not lightly use the word 'frivolous.' In my opinion, however, no reasonable attorney or judge could conclude that the argument that there was no disclaimer of claim scope was anything but frivolous. . . . At any later time, with the issue having been disclosed in the Rule 11 motion, any reasonable counsel must have recognized the equivalent of a railroad crossing with the loud sound of a nearby train whistle. . . . The Plaintiffs attorneys' continued insistence to litigate this matter, even after being apprised by the Defendants that the accused products could not possibly infringe, further highlights that the Plaintiff's attorneys simply turned a blind eye to the actual vehicles that they were accusing of infringement. . . . [D]espite Plaintiffs current pro hac vice attorneys arguing that they should have had a clean slate from the time that they noticed the Court of their appearance, before they ever took the case, [four attorneys] had an obligation to review their client's file. Here, this would include the letters sent by the Defendants and the owner's manuals." During a conference call, the Board denied the patent owner's request to file a motion for sanctions terminating the proceedings. "Patent Owner argues that [a motion for sanctions pursuant to 37 C.F.R. § 42.12(a)] is warranted because the purpose of the Petitioner’s business model is to circumvent the statutory bar created by 35 U.S.C. § 315(b) and the efficiencies created by estoppel. Furthermore, Patent Owner argues that allowing the Petitioner to proceed with its petition amounts to harassment against the Patent Owner. . . . [W]e determine that Patent Owner has presented an insufficient basis for its request for authorization to file a motion for sanctions because Patent Owner fails to cite any conduct by Petitioner that constitutes misconduct as delineated in 37 C.F.R. § 42.12(a). Accordingly, Patent Owner’s request for authorization to file a motion for sanctions is denied." The court denied plaintiff's motion for attorneys' fees under Rule 11 and 28 U.S.C. § 1927 against defendants and their counsel for defendants' unsuccessful motion for fees under 35 U.S.C. § 285, 28 U.S.C. § 1927, and the Court’s inherent power. "[Plaintiff's] decision to seek fees, given its own questionable conduct both before this Court and in California, is unfortunate. . . . To continue to litigate a matter which is so clearly dead is frustrating to the judicial process. . . . '[G]iven the high stakes often involved in patent litigation, parties and their counsel often pull out all of the stops in pursuit of an edge.' It’s time for these tactics to stop and for each side to take its ball and go home." Following a jury verdict of $105 million, the court denied defendant's motion for remittitur. "[Defendant] argues that [plaintiff's expert's] royalty calculation resulted in an impermissible double recovery, by allowing the jury to award lost profits and a royalty for the same infringing conduct. . . . [T]he Court disagrees. Although at certain points in [his] testimony it might appear that he merely calculated actual lost profits and then added a royalty to that figure, at other points he clarifies that his calculations represent the parties’ predictions of events in the marketplace that were reasonably foreseeable at the time of the hypothetical negotiation. While [plaintiff's expert] did, as noted, look at actual sales figures from subsequent years, he explained that his opinion as to a reasonable royalty was based on losses the parties reasonably would have anticipated in light of information available to them at the time of the negotiation, as confirmed by subsequent events." In granting defendant's motion to dismiss plaintiff's infringement claims on the ground that the asserted patent was invalid under 35 U.S.C. § 101, the court rejected plaintiff's argument that the motion was premature. "Plaintiff’s argument that the Court needs to conduct further claim construction proceedings before deciding the motion decidedly fails. [Plaintiff] argues that there is a 'factual dispute whether the preambles of the asserted claims are limiting.' But as [defendant] points out, claim construction is presently not a question of fact. And to the extent extrinsic facts could be relevant, [plaintiff] does not identify them. . . . [B]ased on the substance of the parties arguments and the content of the patents, this Court would find that neither separate claim construction proceedings nor further development of the factual record are required before addressing the § 101 issue." The court granted plaintiff's motion for summary judgment that defendant's caption correction patent was invalid as obvious in light of two prior art patents and rejected defendant's evidence of the secondary considerations of nonobviousness of long-felt need and failure of others. "[U]sers of captioning devices would always be searching for a faster device. However, in the context of this case, the question is not simply whether the invention in the [patent-in-suit] may have been faster than other products, but whether the invention . . . is obvious in light of [two prior art patents]. Thus, in determining whether the failure of others to make the invention in the [patent-in-suit] sooner is evidence of nonobviousness, the relevant time frame is not the time in which users of captioning devices wanted a faster product but the time in which others failed to combine the elements of the [prior art patents] as defendants did. . . . [T]he filing date of the [patent-in-suit] is [less than 2 years after a prior art patent was filed]. It seems unlikely that such a short period of time could qualify as probative evidence of nonobviousness." Upselling Method and Genotype Screening Patents Invalidated Via 12(b)(6) Motions in Light of Alice Corp. The magistrate judge recommended granting defendant's motion to dismiss plaintiffs' infringement claims for failure to state a claim because their genotype screening patent-in-suit contained unpatentable subject matter. "Plaintiffs claims are directed to the discovery of a natural law -- that is, that individuals with a particular genetic variation are better sprinters than those without it. . . . [T]he link between a particular genetic variation and the potential for elite athletic performance embodied in Claim 1 is 'a natural process, an eternal truth that 'exists in principle apart from any human action.'' The correlation is the handiwork of nature-man did not do anything to bring about this relationship. . . . [T]he 'analyzing' step is insufficient to make the claim patent eligible. It merely tells the users of the method to analyze a sample obtained from a person for the presence of genetic variations in the ACTN3 gene, without further specification as to how the sample should be analyzed. The claim clearly does not recite a new, innovative method for such analyzation, which could be one way to effect a different outcome here." The court granted defendant's motion to dismiss plaintiff's infringement claim for failure to state a claim because the upselling method patent-in-suit lacked patentable subject matter. "[I]t is clear that the [patent-in-suit] is drawn to unpatentable subject matter. It claims the fundamental concept of upselling -- a marketing technique as old as the field itself. While the additional limitations of the claim do narrow its scope, they are insufficient to save it from invalidity. . . . Shrewd sales representatives have long made their living off of this basic practice. . . . A human being can generate an upsell recommendation 'during the course of the user initiated communication,' although perhaps not with the efficiency or speed of a computer. The computer performs nothing more than purely conventional steps that are well-understood, routine, and previously known to the industry." The court granted defendant's motion for summary judgment that plaintiff's anonymous communication patents were invalid for lack of patentable subject matter. "Plaintiff . . . asserts that the methods and systems of the [patent-in-suit] claim more than an abstract idea because the claims contain meaningful limitations . . .  receiving party data including an identity from both a first and second party;  receiving at least two rules for releasing party data . . .  receiving a search request from a second party;  processing the second party's search request . . .  exchanging first and second party data except the identities of the first and second party . . . and  releasing the identities of the first and second parties upon satisfying the first and second party rules for releasing their respective identities . . . [N]one of these limitations [presented by plaintiff's expert] adds anything meaningful to the basic concept of controlled exchange of information about people as historically practiced by matchmakers and headhunters - and as disclosed in the patent specification itself. By contrast, all of these steps could be performed (and have been performed) by human beings interacting with one another prior to the filing of the [patent-in-suit]. . . . To allow the claim to survive would disproportionately risk preempting a building block of human interaction, retarding rather than promoting progress, contrary to the very purpose patents are granted." The court granted defendant's motion for judgment on the pleadings that plaintiff's rewards program patents were invalid for lack of patentable subject matter. "Notwithstanding the prolixity of the claims, they recite a very simple invention: a computer-driven method and computer program for converting one vendor’s loyalty award credits into loyalty award credits of another vendor. In principle, the invention is thus the equivalent of a currency exchange as applied to loyalty award credits such as airline frequent flyer miles or hotel loyalty award points. . . . It is certainly true that computers assist with managing a large volume of transactions, doing so at great speed, and communicating the results of those transactions to the parties. However, the basic functions of converting non-negotiable loyalty award credits of one vendor into loyalty award credits of a second vendor according to an agreed-upon conversion rate, and then allowing the consumer to use the converted loyalty award credits to make purchases from the second vendor, are all functions that are readily within the capacity of a human to perform without computer aid. . . . . [A]lthough the field of use is narrow — the conversion of one entity’s loyalty award points into those of another entity — the preemptive effect of [plaintiff's] claims within that field of use is broad. . . . There is no disclosure of the precise method by which the computer performs those functions. Accordingly, the claims would read on virtually any computerized method of performing that function, even if the method used were quite different from any conventional computer-based means."